Opioid addiction comes in many different forms, from street heroin use to prescription pain medication abuse. Because opiates alter the chemistry of the brain and disrupt a person’s ability to feel pleasure without being high, opioid substances are highly addictive. Opioid addiction is difficult to overcome without medicinal intervention. Naloxone is a short-acting drug that blocks the opiate receptor sites and treats overdose or severe symptoms of a current high. For decades, methadone has been the long-term treatment of choice for opiate addiction. Methadone is a modified opiate that produces some of the same effects as opiates while preventing withdrawal symptoms. In addition to methadone, which requires strict administration oversight and control, buprenorphine is a partial opioid agonist that can be prescribed and taken at home. Buprenorphine blocks opioid receptor sites in the brain as well, but does not offer the euphoric effects that other drugs do, but helps to suppress symptoms of withdrawal while decreasing the cravings for opioids. According to the World Health Organization (WHO), methadone and buprenorphine are essential medications to overcome opiate addiction. While both methadone and buprenorphine have been proven effective in helping treat opioid addiction, it has long since been believed that there is a great need for a long-term, sustainable option. In 2017, the Food and Drug Administration (FDA) approved several new drugs to help cure the opioid crisis. Here, we will discuss a few of them. Zubsolv is a new drug that simply combines naloxone and buprenorphine. Zubsolv is considered a breakthrough drug because it is a tablet that dissolves under the tongue and comes in a menthol flavor. Unlike some of its predecessors, like suboxone, the tablet is effective but does not dissolve as readily as a film so that it is harder to dissolve in water and be injected. Lofexidine Hydrochloride is the first non-narcotic, non-addictive opioid addiction treatment available. Already available and widely used in the United Kingdom, it has been proven successful in reducing withdrawal symptoms to allow addicts to detox more comfortably. Because it is a non-narcotic, Lofexidine Hydrochloride does not help control cravings. Probuphine is a one-inch rod buprenorphine implant that is implanted in the forearm. The implant provides a constant, low-dose of buprenorphine over a six month period. 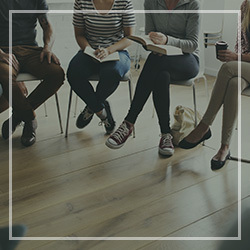 Probuphine provides recovering addicts with a reliable, consistent dose to help prevent late or skipped doses that can lead to withdrawal symptoms or relapse. Sublocade is the once-monthly, injectable form of buprenorphine. Sublocade is meant to be a long-term treatment or used as a long-term maintenance option. Once injected, sublocade provides a slow and steady release of buprenorphine over the course of a month. Over the months, the dose can be tapered down and used as long-term maintenance. Sublocade is not ideal for a patient in the acute detox phase or who have not already gone through the initial course of rehab. Another non-narcotic opioid treatment option is Naltrexone. This injectable drug is an opiate receptor antagonist, which means that it competes against other opioids for the opiate receptor sites. This essentially blocks the effects of opioids, making them less enjoyable to take. Naltrexone is a once monthly injection that is intended to help prevent relapse. Naltrexone can be used in the acute detox phase to block any opioids that are in the system and accelerate the withdrawal phase. However, it does not prevent cravings and should be used in combination with other medications. As the fight to end the opioid crisis continues, scientists seek to find better, more effective treatments for opioid addiction as well as alternatives to opioid drugs in general. CAM2038 is a pre-filled syringe injectable medication that will be used for the treatment of opioid addiction. Similar to Sublocade, it will provide a constant, steady release of medication so that it only needs to be administered either weekly or monthly, depending on the dose given. CAM2038 is still in the investigative phase but has been given high priority by the FDA. Researchers have been experimenting with vaccines to treat addiction since the 1990s when nicotine addiction was discovered to be a major health concern and a barrier to overcoming the problem was the addiction. Scientists are attempting to create a vaccine that would induce an immune response to a targeted drug. Essentially, the body would attack the drug as if it was a bacteria or virus and block it from entering the intended body system. A person who has been vaccinated would feel no effects of the drug and would, therefore, be less likely to consume the drug. Barriers to the introduction of anti-drug vaccines are the cost of research and implementation and the fact that titer levels would have to remain significantly higher than with anti-disease vaccines. 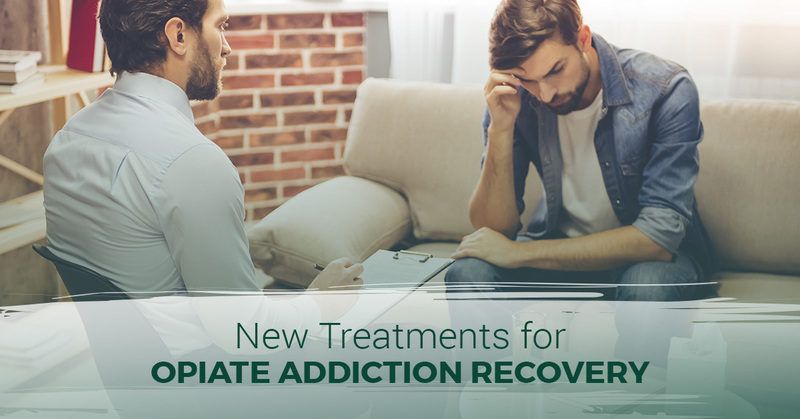 The introduction of new treatment options for opioid addiction is full of exciting possibilities and the potential to help hundreds of thousands of addicts to find recovery. However, it is important to note that no single treatment option is 100 percent effective and medicinal treatment options must be used in conjunction with effective detox, behavior and drug counseling, support, and ongoing treatment. At Metropolitan Rehabilitation, we understand that addiction recovery is not a simple process. We have been helping residents of Oak Park overcome addiction for over 20 years. If you or someone you know is suffering from an opioid addiction, contact us for information about all of our treatment options.